Hi there Capsuleers of New Eden! On the 26th of September, some exciting changes are coming to EVE: Valkyrie that will open the hangar doors to a draft of new pilots. With the launch of EVE: Valkyrie - Warzone, you will no longer need a VR headset to join us in our epic first-person spaceship shooter! Updated and improved cockpit interiors and HUD, and fully revised menus and UI throughout the game. To further celebrate the launch of Warzone, we are increasing the Rank cap to 60, and including 10 new Drifter-themed Rank icons to peacock your efforts. You can find out even more details here. We’ve long held the belief that cross play between PC and console is essential for building our community and sharing the awesome gameplay we’ve been refining since our launch in March 2016. The ambitious new goal of delivering an experience that can now be played across VR and non-VR is now in sight. 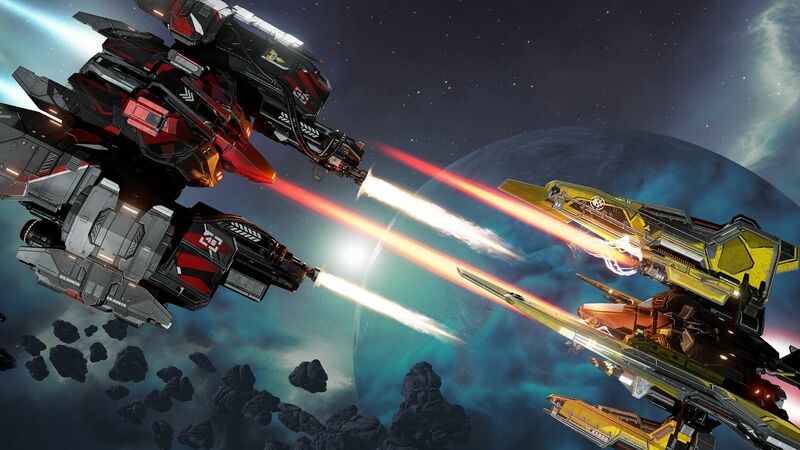 It’s entirely up to you how you play EVE: Valkyrie – Warzone, either in or out of virtual reality. With the expansion, you’ll still have access to all the content from our five major game updates since launch. All our pilots will be flying and dying together on the same servers, same battles… same game. It’s been a long and exciting journey since Valkyrie started life as EVE-VR (or E:VR) way back in 2012. 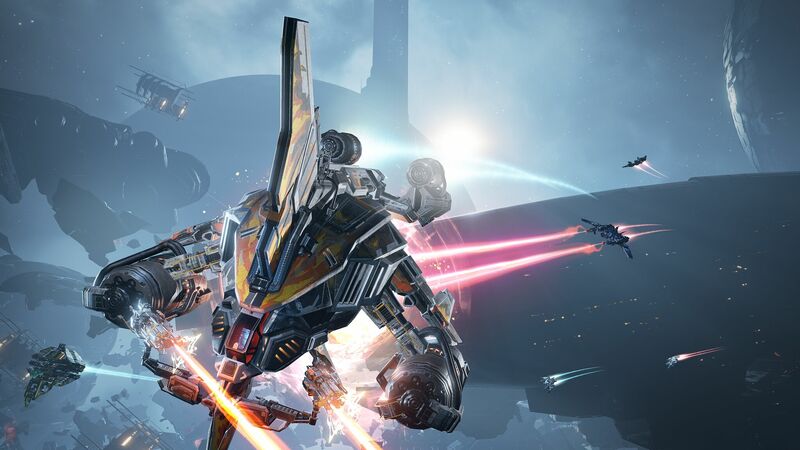 It was thanks to the overwhelming positive reception at Fanfest (and beyond) that CCP had faith to invest in this new and exciting direction for a game, and in supporting cutting-edge technology that is still in its infancy. That investment paid off, and EVE: Valkyrie remains a poster child for the incredible immersion that VR brings to games. Our fans have continued to fuel development with regular feedback and suggestions on a wide range of topics, from gameplay balancing to feature design. We’ve updated and improved the game on an almost monthly basis and the version of Valkyrie you’ll be playing in September will represent a labour of love, for both devs and fans alike. These conversations all started at Fanfest and on the forums. I’m excited to see what happens next when owning a VR headset is no longer a requirement. Moreover, it’s thanks to the rich tapestry of EVE Online that we’ve been able to deliver such a deep and compelling fantasy. Our characters, our ships, our locations, are all part of New Eden. EVE: Valkyrie - Warzone deepens this connection as we introduce more lore and narrative from the EVE universe with the inclusion of Drifter technology. This technology has escalated the war between the Valkyrie and Schism as both sides fight to gain tactical advantage. The arms race has led to the birth of an entirely new fleet of ships and advanced modifications. It’s a fresh start for all pilots, and a great time to get on board. I look forward to seeing some new pilots in our clone vats! Make sure to follow EVE Valkyrie on Facebook, Twitter and YouTube and the CCP channel on Twitch.